It’s Just More Fun With More People! Here at Family Fun Center in Lakeland Florida, we know summer is a great time for children to take a break from school, and recharge. School is typically out-of-session for at least part of the summer, and that can lead to an interesting predicament: how to foster relationships, and maintain social interaction opportunities for your children, while still giving them time to process and have time to relax. We think we have the perfect solution! Host a group event at Family Fun Center! While you may not feel your child’s social interactions are that important yet, studies show that fostering healthy social interactions early on are a great way to foster gratifying, and healthy relationships in adulthood. At Family Fun Center, we encourage groups consisting of 10 or more people to have fun at our facility and nourish those vital relationships through fun! 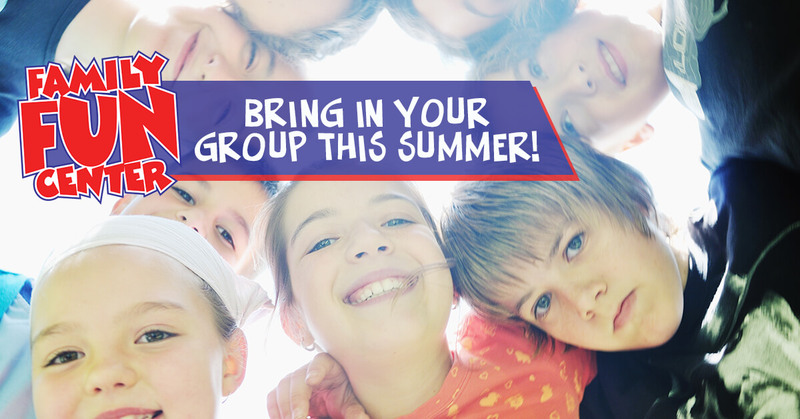 Your child has worked hard in school all year; now, it is time for them to have some fun! With our many attractions ranging from adventure golf to laser tag, your child will have a blast and be able to enjoy themselves in our beautiful Florida facility! Not to mention, most of our attractions are just as much for parents as they are for children, such as our adventure golf and arcade! Call or click today to book your next group event at the most fun facility in Lakeland!